Roaches: Why They’re a Problem and How to Deal with Them - Yes Pest Pros, Inc. Roaches: Why They’re a Problem and How to Deal with Them - Yes Pest Pros, Inc. If you keep a clean and tidy house, you don’t expect pests to be a problem. After all, if the dishes are washed every night, crumbs are swept off the floor, and the rangetop has been cleared of grease, what are the chances of pests making themselves comfortable in your home? Unfortunately, pests will show up when you least expect them, and roaches are a common problem that most every home owner has to deal with at least once. owever, roaches also come in through cracks in a window or wall, so if you suspect that’s how they are entering, it is very important to seal off these areas as soon as possible. 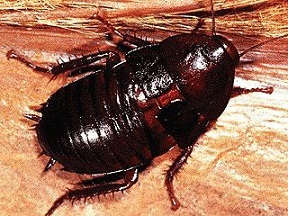 The reason roaches like to infest houses is because houses are the perfect breeding grounds. While they are nocturnal, they enjoy the year round warmth of a house, as well as the number of hiding places they can find. Hiding places may include cardboard boxes (if you have a lot of boxes around, check those for possible infestation) and wood piles outside the house. These pests can carry disease and damage paper, books, and leave excrement in places they frequent. They get into food that’s been left out, a pain in the kitchen. If you see one or two during the day, it could be a sign that they are overcrowded at night. This gives the possibility of an even worse infestation. Once you have cockroaches, they are a pain to exterminate. There are several ways to try removing them, depending on how they enter. First, determine the source of their entry. Seal up any cracks, and if they’re coming through the drain, consider getting solvents to pour down the sink. A few options are bleach or boric acid solutions. There are also alternatives that are kid and pet friendly, and don’t use pesticides. If that doesn’t work, you may want to try stronger chemicals, but if you don’t feel comfortable working with chemicals, or need a stronger chemical than what you have available, it may be time to call in help from pest control professionals. Young Environmental Solutions exterminators are useful for eliminating roaches because they have a license and the knowledge of how to use insecticides and other methods necessary to eliminate a roach infestation from your home.